Liang Wang was born and grew up in Suzhou. 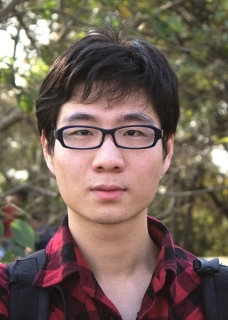 Currently he is a assistant researcher in the Institute of Computer Software (ICS), State Key Laboratory for Novel Software Technology, Department of Computer Science and Technology in Nanjing University. Before he joined ICS, he received his B.Sc. and Ph.D. degree from the Department of Computer Science and Technology in Nanjing University in 2007 and 2014, respectively. He is a member of the CCF, IEEE, and ACM. Liang Wang, Tao Gu, Alex X. Liu, Hengzhi Yao, Xianping Tao, and Jian Lu. Assessing User Mental Workload for Smartphone Applications with Built-in Sensors. IEEE Pervasive Computing (to appear), 2018. Liang Wang, Tao Gu, Xianping Tao, and Jian Lu. Toward a Wearable RFID System for Real-time Activity Recognition Using Radio Patterns. IEEE Transactions on Mobile Computing (TMC), 16(1): 228-242, 2017. Liang Wang, Tao Gu, Xianping Tao, and Jian Lu. A Hierarchical Approach to Real-time Activity Recognition in Body Sensor Networks. Elsevier Journal of Pervasive and Mobile Computing (PMC), 8(1): 115-130, 2012. Liang Wang, Tao Gu, Xianping Tao, Hanhua Chen, and Jian Lu. Recognizing Multi-user Activities using Wearable Sensors in a Smart Home. Elsevier Journal of Pervasive and Mobile Computing (PMC), Special Issue in Knowledge-Driven Activity Recognition, 7(3): 287-298, 2011. Tao Gu, Liang Wang, Zhanqing Wu, Xianping Tao, and Jian Lu. A Pattern Mining Approach to Sensor-based Human Activity Recognition. IEEE Transactions on Knowledge and Data Engineering (TKDE), 23(9): 1359-1372, 2011. Liang Wang, Wen Cheng, Lijia Pan, Tao Gu, Tianheng Wu, Xianping Tao, and Jian Lu. SpiderWalk: Circumstance-aware Transportation Activity Detection Using a Novel Contact Vibration Sensor. Ubicomp 2018, Singapore, October 9-11, 2018. Liang Wang, Tao Gu, Xianping Tao, Jian Lu. Direction-Aware, Audio-Based Pedestrian Relative Positioning by Swing Induced Doppler Shift. In Proc.of the 14th EAI International Conference on Mobile and Ubiquitous Systems: Computing, Networking and Services (Mobiquitous 2017), Melbourne, Australia, November 7-10, 2017. Jinqi Cui, Liang Wang, Tao Gu, Xianping Tao, Jian Lu. An Audio-based Hierarchical Smoking Behavior Detection System Based on A Smart Neckband Platform. In Proc.of the 13th Annual International Conference on Mobile and Ubiquitous Systems: Computing, Networking and Services (Mobiquitous 2016), Hiroshima, Japan, November 28-December 1, 2016. Liang Wang, Tao Gu, Xiangyang Liu, Hengzhi Yao, Xianping Tao and Jian Lu. Automatic Assessment of User Mental Workload for Smartphone Applications. In Proc. of the 5th EAI International Symposium on Pervasive Computing Paradigms for Mental Health (MindCare 2015), Milan, Italy, September 24–25, 2015. Liang Wang, Tao Gu, Hongwei Xie, Xianping Tao, Jian Lu, Yu Huang. A Wearable RFID System for Real-time Activity Recognition using Radio Patterns. In Proc.of the 10th International Conference on Mobile and Ubiquitous Systems: Computing, Networking and Services (Mobiquitous 2013), Tokyo, Japan, December 2-4, 2013. Tao Gu, Liang Wang, Hanhua Chen, Guimei Liu, Xianping Tao, and Jian Lu. Mining Emerging Sequential Patterns for Activity Recognition in Body Sensor Networks. In Proc. of the 7th International Conference on Mobile and Ubiquitous Systems: Computing, Networking and Services (MobiQuitous 2010), Sydney, Asustralia, December 6-9, 2010. Liang Wang, Tao Gu, Hanhua Chen, Xianping Tao, and Jian Lu. Real-time Human Activity Recognition using a Body Sensor Network. In Proc. of the 16th IEEE International Conference on Embedded and Real-Time Computing Systems and Applications (RTCSA 2010), Macau SAR, China, August 23-25, 2010. Liang Wang, Tao Gu, Xianping Tao, and Jian Lu. Sensor-based Human Activity Recognition in a Multi-user Scenario. In Proc. of the European Conference on Ambient Intelligence (AmI '09), Salzburg, Austria, Nov 18 - 21, 2009. Tao Gu, Zhanqing Wu, Liang Wang, Xianping Tao, and Jian Lu. Mining Emerging Patterns for Recognizing Activities of Multiple Users in Pervasive Computing. In Proc. of the 6th International Conference on Mobile and Ubiquitous Systems: Computing, Networking and Services (MobiQuitous '09), Toronto, Canada, July 13 - 16, 2009. Acceptance Rate: 22.1% (19 out of 86). Liang Wang, Tao Gu, Xianping Tao, Hanhua Chen, and Jian Lu. Multi-user Activity Recognition in a Smart Home. Activity Recognition in Pervasive Intelligent Environments, 59-81, 2011. Nanjing 210023, Jiangsu, P.R. China.